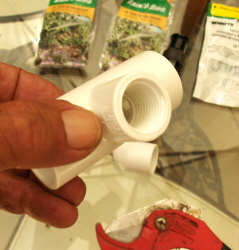 Build a wonderful garden sprinkler with pvc pipe and Rain Bird nozzles – Johntheplantman's stories, musings, and gardening. 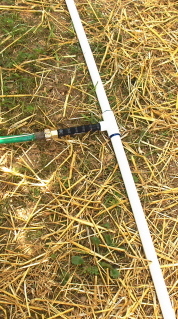 Building a portable spray sprinkler with pvc pipe and Rain Bird irrigation parts from Home Depot. 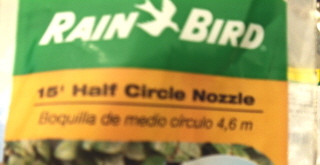 Several years ago I got tired of buying garden sprinklers that just didn’t work. 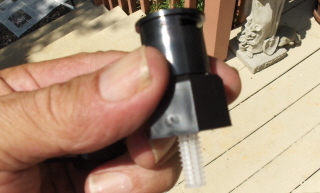 One day, while installing an underground sprinkler for a client, I thought, “If someone would just use this wonderful sprinkler technology for building a portable, hose connected sprinkler…” Then I asked myself one of my favorite questions, “I wonder what would happen if…” That’s when I got busy and designed this sprinkler. It’s easy to build, and it really, really works. 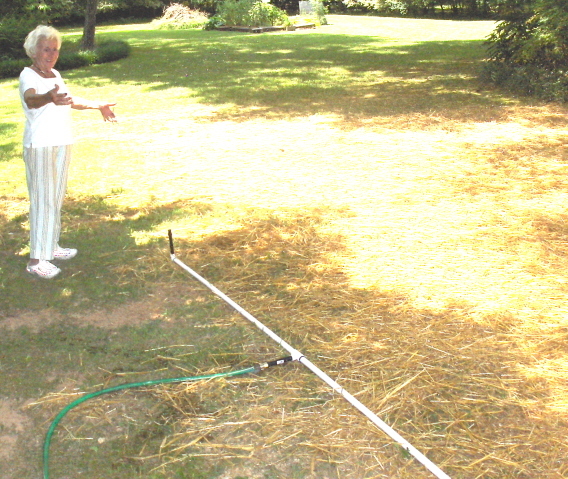 I’m going to give you instructions for building an inexpensive, light weight, versatile sprinkler that shoots out a fine spray. A list of materials will appear at the end of this article so you can copy, print, and take it to the store for help. 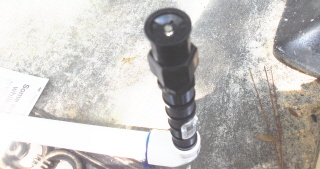 One of the good parts of this sprinkler is that you can move it around while it is running without getting wet. Assembly time is approximately 30 minutes start to finish. 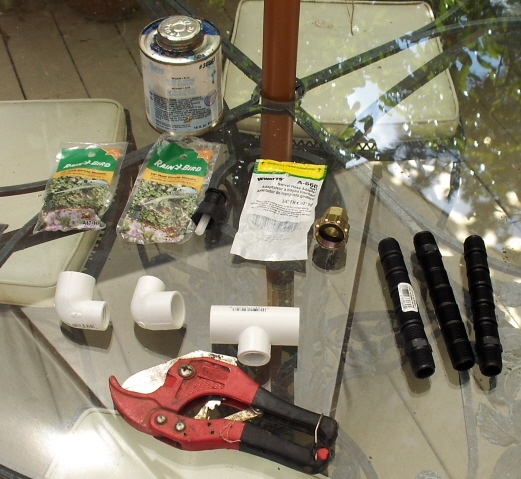 Parts and materials for building a sprinkler with pvc pipe and Rain Bird nozzles. Sometimes it’s called a “combo tee” but, specifically it is a 3/4 slip by 1/2 fpt (female pipe thread) tee. And then, there is a “combo ell”, or 3/4 slip by 1/2 fpt elbow. You will need a can of pvc cement. 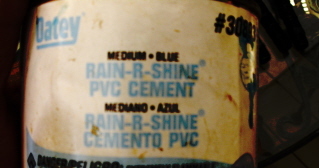 I use the rain or shine blue glue. It works well. 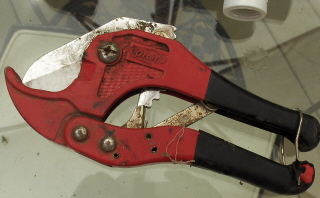 These are nice ratchet cutters and only about ten dollars. You may also use a hack saw, or smile real nice at the guy at the store and he’ll cut it for you. Rachet cutters are nice, a hack saw will do, or a big smile to the man at the store will also suffice, he’ll do it for you. 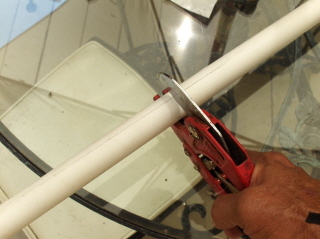 To start the project, cut the ten foot, 3/4 pvc pipe in half. This will give you two 5 foot pieces if my math is correct. You may use shorter pieces if you wish. 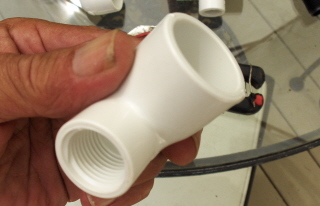 Cut the pipe to 2 five foot pieces–You may use 3 or 4 foot pieces, it really doesn’t matter. 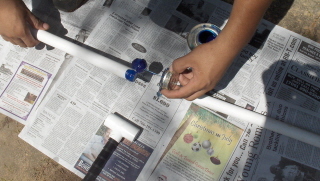 Paint some glue on one of the pipe ends and stick it into the tee. Note the newspapers spread out to keep glue from dripping on the work surface. Glue the second piece of pipe into the other end of the tee. The project will look like the picture below. The reason for doing this first is to orient the pipe so that the other pieces will be straight up. The next step is tricky. 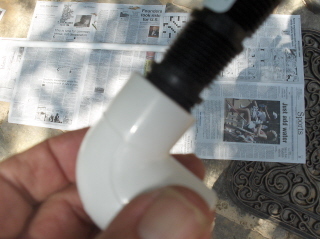 Be sure the hose adaptor is flat on the work surface as you glue the elbow onto the pipe. Make sure that the riser in the elbow is as straight up as possible. If it’s a little crooked, it’s ok, but the straighter the better. glue the elbow so that the riser is straight up. If you look at the top of the Rain Bird nozzle, you will see little lines in part of it. This shows you where the water will go. 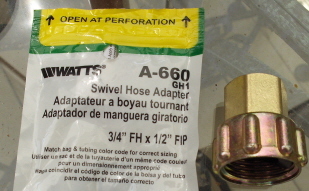 When you install it, make sure that the lines are pointing away from the hose hookup. They can always be adjusted by turning. The marks on the Rain Bird nozzle show where the water will go. Hook it up to the hose and turn the water on. You may adjust the spray by turning the nozzle. It doesn’t have to be way tight. 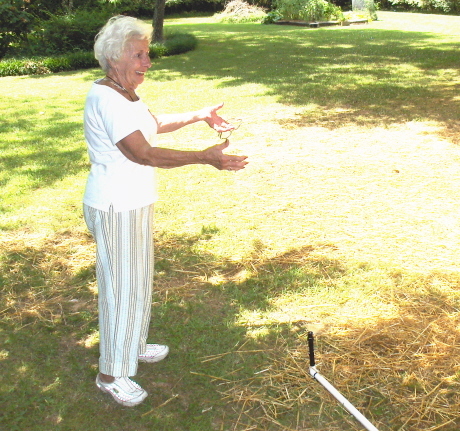 Micky is delighted with her sprinkler. The grass seed was up in a week. For timing, you may wish to try 20 minutes in one place for sufficient water. It may vary. There are lots of different Rain Bird nozzles to choose from once you get started watering, and they may be easily changed. On my front bank, I use the sst nozzle which throws a rectangular pattern and covers a space of 30 feet by 4 feet. It waters the flower bed without soaking the street. Then there’s a 15 foot adjustable nozzle that gives you all kinds of patterns after you fool with it a bit. Check them out. 1 – 1/2 fpt (female pile thread) by 3/4 swivel hose thread adaptor. That’s it! Have fun with the sprinkler. John goes to a book signing at The Grey Parrot. I am building this today! This sprinkler is cheap and easy to assemble. All parts cost $15. Thanks for the boiler drain tip – I have the same arthritic hands issue and have been turning the faucet on and off with pliers – raced out to Home Depot and now, an hour later, it’s magic!